Bansko Municipality is one of the 14 in Blagoevgrad District and the sixth largest in terms of area. At the 2011 census, the population numbered a little over 13,000 people. The relief within the municipality is various – there are flat areas, and also hilly and mountainous areas spreading all over Pirin Mountain. On the territory of Bansko Municipality are the towns of Bansko and Dobrinishte, and also six villages – Gostun, Mesta, Kremen, Filipovo, Osenovo and Obidim. Bansko Municipality is a border municipality in the region of Blagoevgrad – it is neighboring Velingrad Municipality which is located near Pazardzhik. Its other “neighbors” are the municipalities of Garmen, Gotse Delchev, Sandanski, Kresna, Belitsa and Razlog. The strong development of year-round tourism and the heavy business investment turns the town of Bansko into a leader in the region in terms of economic indicators. The local administration itself is also very active in absorbing funds from the EU funds and is even one of the leaders in the country. With an average of BGN 565 per person from EU funds won across Bulgaria, the amount in Bansko is BGN 2,475. The projects won by Bansko Municipality are from different spheres – energy efficiency of community centers, road repairs and public works, hot lunch for the poor, care for people with disabilities through personal assistants and home maids, etc. Of the large projects won by Bansko Municipality, we could mention the closure of the old landfill and recultivation for BGN 1,819,000; the support of tourist attractions for over BGN 2,400,000; 4 million for the repair of municipal roads; nearly BGN 90 million for new sewerage in the town. Bansko is a leader in the region also in terms of facilities offered to individuals and companies through electronic services: over the Internet one can check due local taxes, sanctions, apply for various references and certificates for heritage, birth certificates, arrange a meeting with the mayor and deputy mayors on their acceptance days, file signals, suggestions, etc. Bansko is a very popular tourist destination. Both Bulgarians and foreigners come here all year round, both individually and in groups, for the weekend, for a week, for two – each one according to their vacation and free time. In any case, tourism in Bansko is growing rapidly as new attractions and services are being offered all the time. Last year, summary information circulated stating that from 2009 to 2015 the bed base has increased from 7,000 beds to over 16,000 beds and the accommodation is full. Revenue from overnight stays has increased from BGN 16 million to BGN 29 million. All this pushes hosts to introduce all kinds of facilities for tourists. A part of these facilities is the uploading of detailed reference information on an electronic map of Bansko. Probably all one can think of during his or her vacation will be uploaded on such a map. Of course, when looking for a map of Bansko, one will mainly find maps with indicated streets and addresses, plus various routes. In addition, however, special attention is paid to the daily needs of tourists who may appear expected or unexpected. By the electronic map of Bansko, a tourist can be oriented, for example, to ATMs in the town, gas stations, police cameras, restaurants, shops, sports playgrounds. 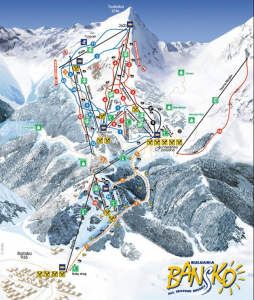 Through the map of Bansko, one can also find different types of services – such as transport, for example, and there is also a satellite map of Bansko. Of course, there is also a global map – showing how to get here by airplane flights and connections. It gives directions and indicates distances when travelling by bus and by car from Sofia, Istanbul, Thessaloniki, Belgrade, Skopje, Bucharest, and from the larger Bulgarian cities. The tourist routes are a separate category in the electronic map of Bansko, the national tourist sites in the town and the region are also included – museums and the “St. Trinity” church. Huts, lakes, waterfalls, peaks, etc. are marked along the hiking routes on the electronic map of Bansko. Undoubtedly, there is weekend tourism or visits for several days in Bansko. Especially during the winter season, many Bulgarians as well as foreigners from the neighboring countries make short visits for the weekend for skiing. There are various festivals, such as the International Jazz Festival, Opera, Balkan Music and Quisite, etc. which attract great audiences for several days. However, the vast majority of tourists – single, families, groups, visit for longer periods, practically spending all their vacation in Bansko. This applies to both summer and winter. That is why, in Bansko cards are issued for everything – for attractions and landmarks, for the use of facilities, both in the summer and in the winter. Subscription is always an advantage – it guarantees service, saves queuing, and is generally cheaper. A range of discounts is offered with multiple participants. 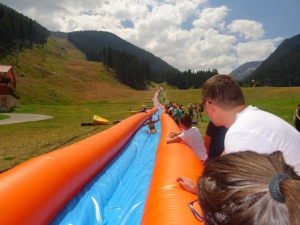 For example, for the 400-meter-long summer water slide, which is the longest on the continent, there are packages of 6 and 9 slides. They can be used by groups of 3 to 6, and of 6 to 9 participants. Packages are much cheaper and are suitable for groups of children such as those from LuckyKids – the international children’s camp in Bansko with English language education. In Bansko, lift subscription cards are also issued according to age – there are cards for pupils between 7 and 12 years of age, for students, and for children up to 7 years of age. The use is for different periods of time for drag, cab, there are also a special cards called “Bansko – Twenty”, which are valid for 20 days, without necessarily being consecutive. In addition, there are also full-season cards issued in Bansko. Another practice in Bansko is to issue cards to families – from families with two parents and one child to families with two parents and five children up to 16 years of age. There is also a practice in Bansko to issue cards during the festivals – for guaranteed spectator seats. As a well-developed tourist center, Bansko offers its guests numerous entertainment opportunities in both the warm and the cold months of the year. 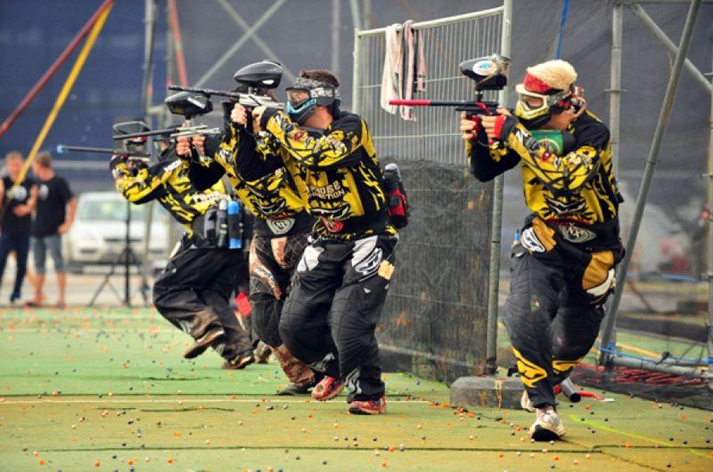 During the summer, tourists can enjoy various sports. There are playgrounds for basketball, volleyball, tennis, golf, all having children’s corners to enable visits by families with children. Picnics with historical settings and folklore programs are found attractive; and so are fishing and hunting in exceptionally picturesque areas. There are also interesting excursions to Rupite, Rila Monastery, Rozhen Monastery, the Dancing Bear Reserve, Melnik and other historical, architectural or natural phenomena. In addition, guests of Bansko can also take advantage of the offers for trips for one or two days to Drama or Kavala in Greece and combine the recreation in the mountain with the relaxation by the sea. And this is the point where the opportunities for “more adrenaline” start. 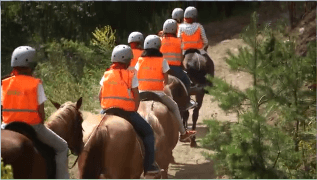 Bansko offers mountain biking, with the provision of bicycles and all equipment needed, horseback riding, off-road, buggy and ATV, rock climbing, canyoning, rafting along Struma and Mesta and others. Of course, the participants will choose the degree of difficulty. ATV tours, for example, may be of low difficulty and above all mostly for fun, they may also be of medium difficulty throughout picturesque locations, and further may be a long-lasting test of master driving skills. The winter season in Bansko starts in the beginning of December, its official opening being in the middle of the month. The official start is quite attractive – with the presence of international skiing stars, competitions and games, with a car being awarded to the winner, lots of music and dancing all day long until late at night. The weather conditions and the facilities for artificial snow – a total of 230, allow for the winter season to last for 5 months – until April. In addition to the lifts and drags, there is also a picturesque 16-kilometer-long ski track from Bansko to the largest track. It is illuminated and is suitable for skiers and snowboarders of average skills. The ski complex in Bansko is very professionally constructed and maintained. That is why it is not accidental that world championships – both skiing and snowboarding – are held here and are also planned for the coming years. At the same time, the complex is suitable not only for athletes, but also for beginners and intermediate skiers and snowboarders. Of the 75 kilometers of tracks, 35% are intended for beginners, 40% for intermediate, and 25% for advanced. The trails are constructed so that dynamics can be combined with joints to various tracks and branches in the downhill. Of course, each track has its own characteristics and the choice is up to skiers and snowboarders. In practice, a track in its various sections may be used by both beginners, and by athletes for their training, such as Yulen and Todorka, for example. Only Tomba makes an exception – it is the most difficult and it is only intended for professionals. Ski tracks are served by lifts and drags, the drags being of two types – for children and anchor-type, and lifts being with seats – 2, 4 and 6 seats, and also a cab lift of 8 seats. 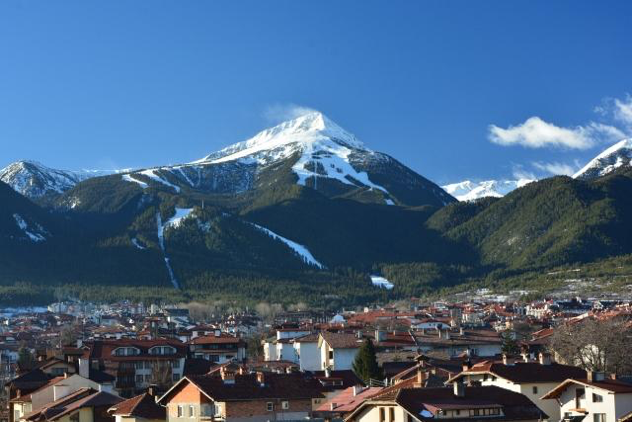 In Bansko, cards can be purchased for the cab lift which offers a pleasant trip both in the winter and in the summer – the views are incredibly beautiful. The cab lift is 6,233 meters long – the second longest in the country. It starts from Bansko, passes through Chalin Valog without stopping, and reaches Banderishka Polyana for 25 minutes. It can take 2,000 people per hour and it serves all tracks. 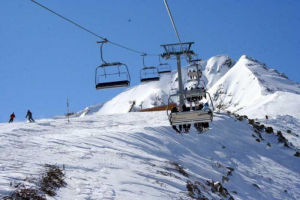 Six- and four-seat lifts serve Banderitsa Todorka, Plateau 1 and 2. The lifts to Chalin Valog 1 and 2 are four-seat ones. The lift to Tsarna Mogila is a two-seat one. Anchor-type drag leads to Stara Kotva, and a children’s drag goes to Yulen. There are also drags to the Chalin Valog 1 and 2 tracks. The total length of the lifts is 26 km.